Extremely durable and impact resistant. Crosshair rib structure in tank roof for best support and overall strength. Strong hinged tank lid with vent ensures efficient liquid transfer. Four positive tie down points. 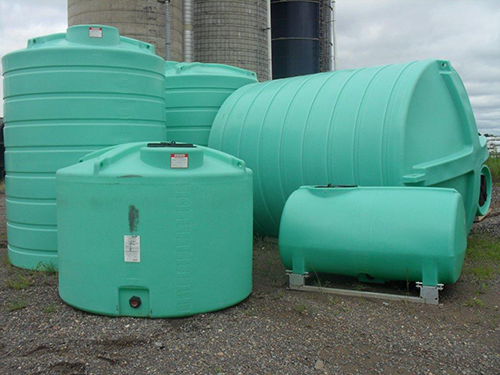 Extremely sturdy robust ribbed tank design provides sturdy sidewall suitable for storage of heavy material. One piece construction ensures long term structural strength. Banjo tank fittings and siphon tubes are standard equipment.